Thomas Merton said “meekness” was the biblical word for "non-violence" in the Gandhi/King sense, so Dear reflects how Jesus connected nonviolence with oneness with creation…and how we need to do the same. This is a Free Community Event sponsored by the Prescott Peace Builders. Copies of the book will be available for purchase at the Peregrine Book Company. Event Location: Prescott Public Library, Founders Suite, 215 East Goodwin St., Prescott. Longtime activist John Dear invites us to return to nonviolence as a way of life and a living solidarity with Mother Earth and her creatures. 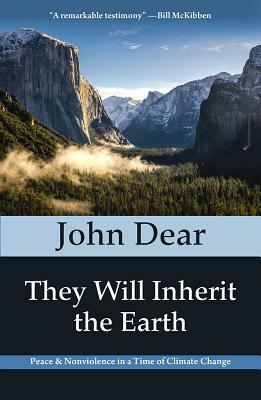 John Dear is a priest, activist, lecturer, and author of thirty books including Living Peace; The Questions of Jesus; Lazarus Come Forth; You Will Be My Witnessess; Disarming the Heart: The God of Peace; The Nonviolent Life; and his autobiography, A Perisistent Peace. He was nominated for the Nobel Peace Prize by Archbishop Desmond Tutu. He lives in New Mexico.